EDMONTON -- Alberta Party Leader Stephen Mandel, disqualified from running in the upcoming provincial election, says his chief financial officer missed a crucial filing deadline and then never told him about it. Mandel says he didn't learn until two weeks ago that he was facing a five-year ban for failing to file his nomination financial report on time. "I had a CFO and he was in charge of making sure that was taken care of," Mandel told reporters Saturday, stressing that he was not blaming anyone, but taking full responsibility for everything that happened with his nomination. "My CFO was sick," he added. "He had to resign because he was not well. As a result of that, he missed some of the dates and that's part of the reason we're here today." "We've sent letters to Mr. Mandel and we sent it to all nominated candidates and all parties involved in the election process on a regular basis once they register with us ... telling them you're now registered, you're required to file financial statements, the dates you have to file them and it was clearly indicated on those letters the dates he had to file prior to the filing date," Drew Westwater, deputy chief returning officer, said in an interview Saturday. 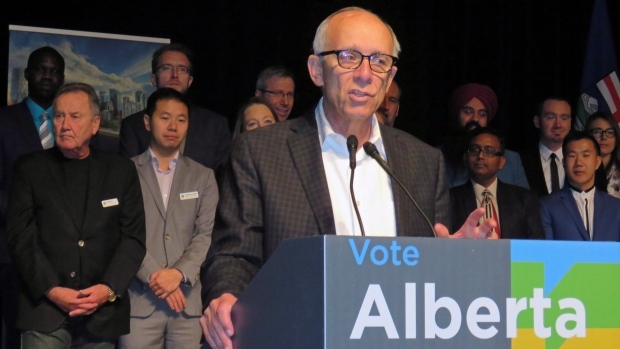 Mandel acknowledged that he received and was aware of a letter from Elections Alberta in July that spelled out, in boldface type, that the financial report must be filed by September 12, 2018, or Mandel could be subject to "further penalties." The statement, which detailed zero expenses and revenue, was co-signed by the CFO and Mandel and dated Sept. 24, 2018 -- two weeks after the deadline. "Do you feel like your CFO let you down?" he was asked. "I'm not going to comment on that," he replied. Mandel and his legal team are now taking action through Court of Queen's Bench. They say the Elections Alberta documents are contradictory on whether the four-month financial filing deadline begins when a candidate is nominated or when the nomination vote is concluded, which happened two months later. Mandel believes it's when the nomination vote is concluded, so that in his case the deadline should not have been in September but in November, meaning he met the deadline with weeks to spare. The Alberta party has over 60 candidates nominated and has pledged to run a full slate to use this election to vault out of the fringes of Alberta's political landscape into the mainstream.